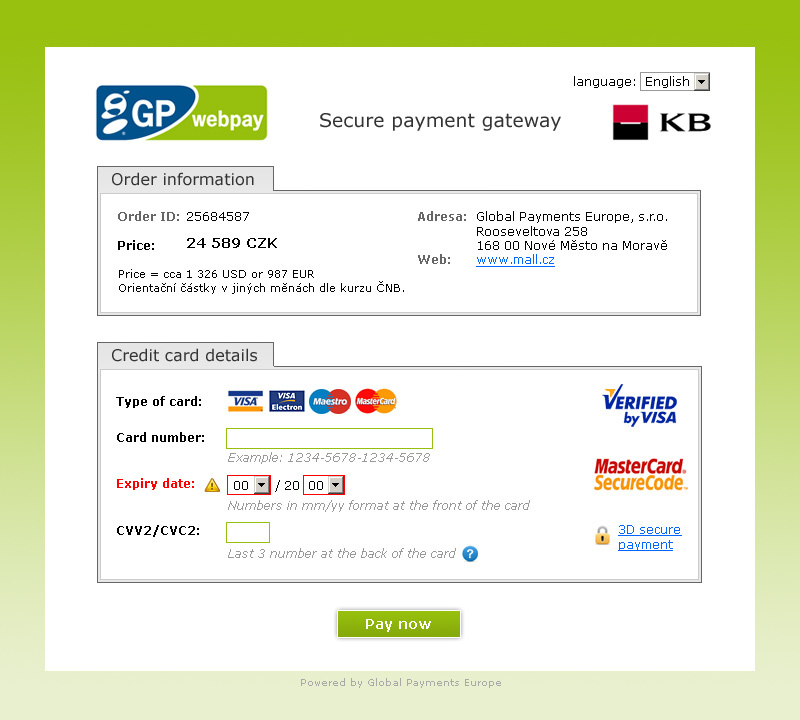 A premier product of Global Payments Europe - its payment gateway was not running as efficiently as expected. So the client came to us to fix it. The first step was analysis of the current design. Too many logos all over the place. No hierarchy of importance. Credit card association logos together with provider logos. Logos have uneven size. No logo of the merchant (e-shop). 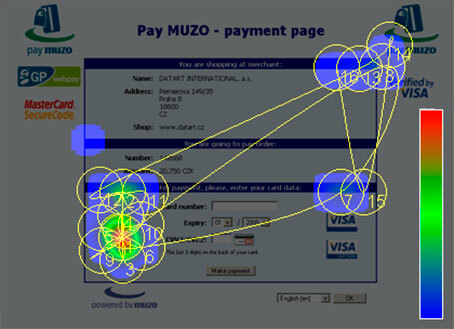 Disconnect between the e-shop - payment gateway - e-shop. Address of merchant is redundant. No description of merchandise, just a code. Credit card number format is missing. Do users use spaces, dashes or noting? Security code explanation is too small. Make payment button gets lost! This is the most important element on the page. Language selection placement is wrong, users expect top right corner. After reviewing the competition and user behaviours we found out there were emerging trends. 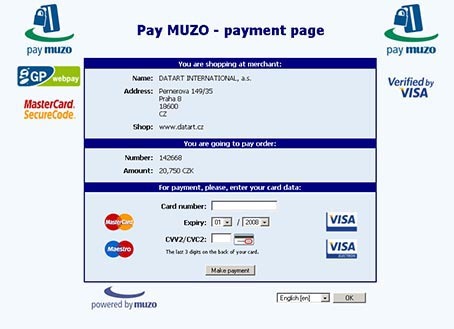 Emphasize the payment gateway brand (security) and the merchant brand (connection with e-shop). Less information - the current design is too cluttered and we need to squeeze all information into 800x600 pixel window. Hierarchy - group similar information/elements together. And present them in the logical mind flow of the customer.